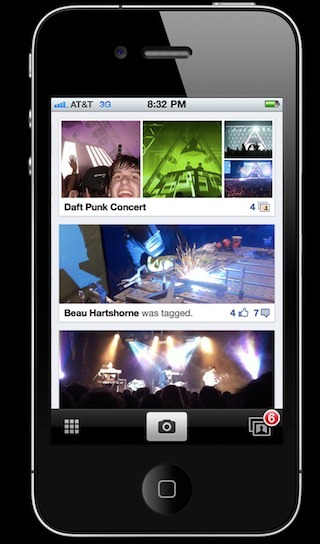 Recently, the popular site TechCrunch leaked information about a Facebook Photo Sharing App for the iPhone. Going by the name "Hovertown" or "WithPeople" the app looks to be a stand-alone app but could later be integrated right into Facebook. Pictured above you can see some images being tested in the app. This seems to be a good idea seeing how there are 6 billion uploads on Facebook per month and about 100 billion total images at the current moment.